The sinuses are air-filled spaces behind the forehead, cheeks, and eyes. In healthy sinuses, mucus drains out and air is able to circulate. Sinusitis describes a swelling (inflammation) of the sinuses that can lead to blockages and prevent mucous from draining properly. This can lead to infection. 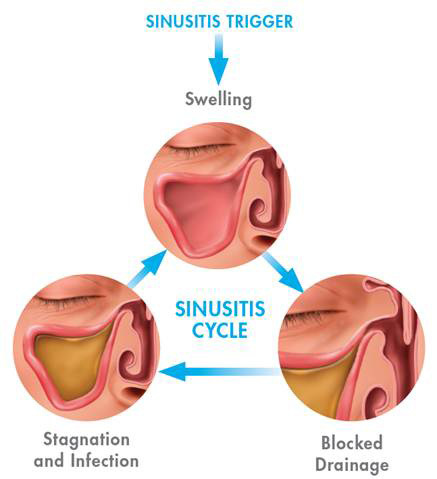 At Ear, Nose, Throat & Allergy Center, we see many patients suffering from chronic and recurrent sinusitis each week. In addition, some studies have shown that structural issues such as narrowed drainage pathways may lead to sinusitis outbreaks.